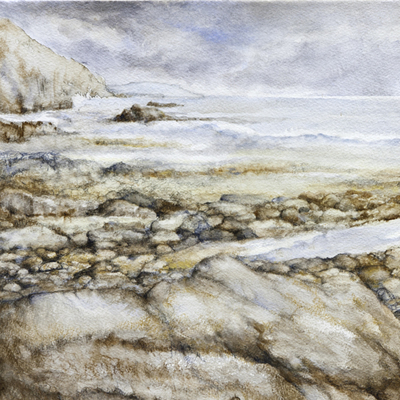 Contemporary seascapes, landscapes and floral paintings and drawings in watercolour, oils and mixed media. 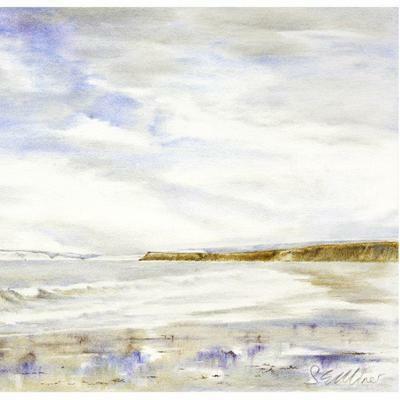 My paintings are inspired mainly by the Southwest Wight near my home. Originals, limited edition prints and fine art cards. I work from home, but please ring or send me an email first to check that I will be in. To find me head out of Brighstone either on Upper Lane or Moortown Lane into Lynch Lane. After you pass the Lane to Coombe farm on the right, we are the next house on the left after Bon Sol farm. Lynch Lane also starts at the crossroads in Calbourne with the Sun Inn opposite. Follow the road through the woods and over the downs to the ‘Welcome to Brighstone’ sign, and I am the fourth cottage on the right. Parking is available in the layby opposite and on the road. 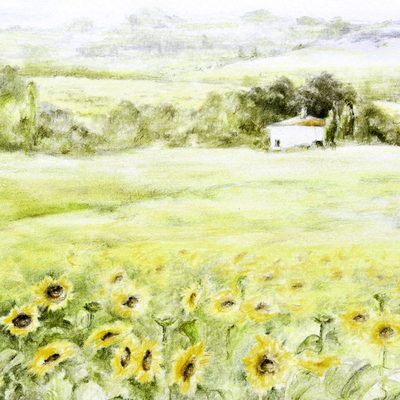 I enjoy using watercolour, water soluble pencils, and am developing my use of oils. I’m usually curious and wanting to try new techniques and looser styles. Finding some sense of freedom and self expression within contemporary land and seascapes is important to me these days. This is in contrast to my previous highly detailed work, and my current floral pieces which evolve very slowly. 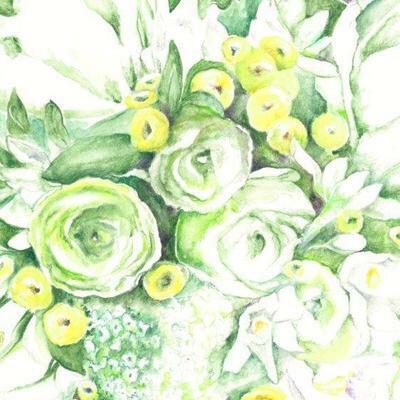 ‘Floral Essence’ is the name of my wedding bouquet artwork service, which involves the interpretation of photographs to capture the essence of a brides bouquet. I grew up on the Island and left school to attend art college in Southampton, but somehow ended up with a career in Biological Sciences and Pharmaceuticals instead of the Arts! For many years I produced no art at all. But when I moved back to the West Wight with my young family I finally had the opportunity to return to it full time. We are so lucky to live in this area of outstanding natural beauty and I am constantly compelled to portray it in different ways.